The results of the biennial Future One and Independent Insurance Agents & Brokers of America’s Agency Universe Study are in, and EZLynx is the most popular Comparative Rater. However rating penetration is only half the story. We are now the fastest growing Agency Management System. As a premier technology vendor who pioneered real time rating, we are extremely gratified to see our name now in the top ranks for agency management systems. Having only begun selling EZLynx Management System in 2012, to reach this position so quickly speaks to the trust that our customers place in us. A huge thanks to all those who have made this decision and the many agents across the country who have actively collaborated with us in providing valuable insights to our development team. These are agents who not only help better an important product for the industry, but also share a common philosophy with us of empowering agents with powerful, innovative tools that help improve both their bottom-line and top-line. 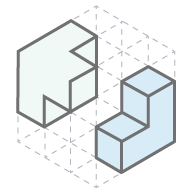 EZLynx Management System is built on top of EZLynx Rating Engine, combining perfectly to create a seamless integration of features, rather than separate products that merely “integrate”. Those agents who use our management system will continue to be amazed at our product offerings in 2015. We have some exciting new features under wraps that will be released for general availability in early 2015 which will dramatically change the way you run your agency! The assurance we have in increasing our penetration comes from the confidence in our team’s ability to listen to our customers and find solutions that are practical, cost effective, and efficient. A simple example would be our Agency Pulse report that we send free of charge to every agency principal who has enabled our management system. It is truly a report that no savvy business owner should be deprived of. Notwithstanding the facts that EZLynx is the fastest growing management system and more agents rely on EZLynx for comparative rating, there is a lot of other exciting news for agents in the report findings. Seventy percent of the agencies experienced revenue growth of 19% over the past 2 years. This is up 17% from the sixty percent number in the prior survey. The trend of growth is continuing since the economic downturn in 2008-10. Both commercial lines and personal lines agencies experienced growth with only 15% reporting decreases in revenue. In other areas of growth, EZLynx Management System is recognized as the fastest growing management system in the industry. Once again, dealing with multiple carrier interfaces (re-keying data) is the biggest technological challenge for agents. With respects to using comparative rates in personal lines, more agents use EZLynx than any other rating system. 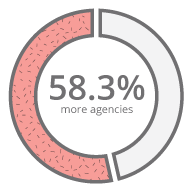 EZLynx is in 58.3% more agencies than the closest competitor. We have built our management system into our comparative rater as a single product. There is a reason why EZLynx Rating Engine remains the most popular comparative rater, and EZLynx Management System is the fastest growing management system of the year – it’s because they are one and the same. A single product, a single system to learn, and a single platform that can help your agency manage the complete lifecycle of your customers.